As much as I like local, hole-in-the-wall Mexican places, nothing beats making Mexican food at home. It’s easy to leave a Mexican restaurant feeling overly stuffed and loaded down by all of the fried chips, heavy ingredients, and huge portions, but at home, it’s easier to keep your meal on the lighter side without compromising any of the yum factor. I love making a huge spread of toppings like guacamole, freshly shredded cheese, sautéed veggies, salsa, and sour cream to top my homemade Mexican food. And my favorite of all? Homemade refried beans! They’re loaded with protein with just a little kick of spice, and they’re superbly creamy. Until a year or two ago, I had no idea that you could make refried beans yourself. They’re surprisingly simple, and they’re 100x better than the canned kind. 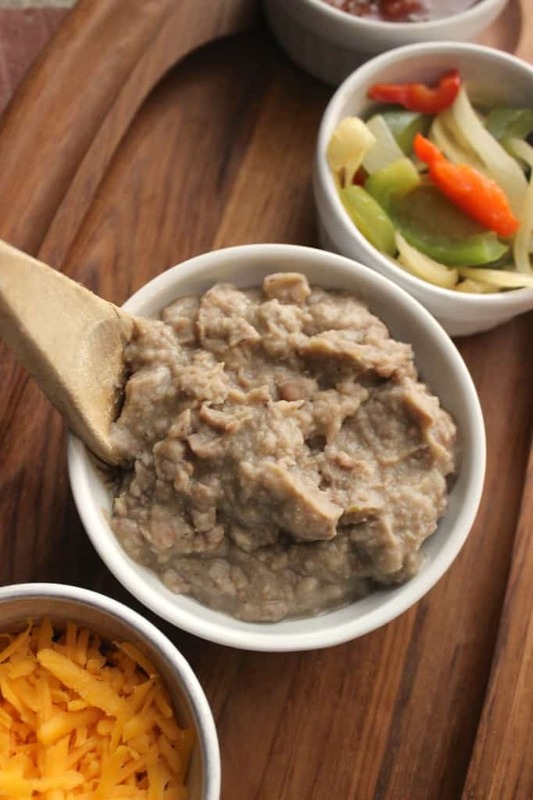 All you have to do is let dried pinto beans soak overnight in water, add some spices in the morning, cook them for several hours, and then mash them with a potato masher. They’ll be ready in time for dinner, with almost no hand-on work! At my house, we love having these on tacos, inside fajitas, quesadillas, & burritos, and alongside chicken enchiladas. So, until I have my own kitchen again, I’ll have to settle for enjoying them at home or defrosted from my freezer. Homemade refried beans freeze perfectly, so I can always bring them back to school in individual portions. Yum! Soak the dried beans overnight in the crockpot in enough water to cover them. Rinse beans and return to crockpot with the chopped onion, jalapenos, garlic, pepper, cumin, and broth or water. Stir to combine. Cook on medium-high for 4 to 4 ½ hours (my crockpot goes up to a 5 setting and I cook them on 4). The beans are ready when you can easily smash them. Strain the beans, reserving the cooking liquid. Remove the cooked onions and return the beans and cooked jalapenos to the crockpot. Roughly mash them inside the crockpot with a potato masher, hand-mixer, or a quick turn in the blender. Add part of the reserved liquid as you mash them to achieve the desired consistency. Add ¾ teaspoon salt and taste, adding additional salt and pepper as needed. Turn the crockpot back on low heat to keep the beans warm until serving, adding additional reserved liquid if needed as they continue to thicken. *Store beans in the refrigerator for up to a week, or freeze in small containers and defrost overnight in the refrigerator as needed. 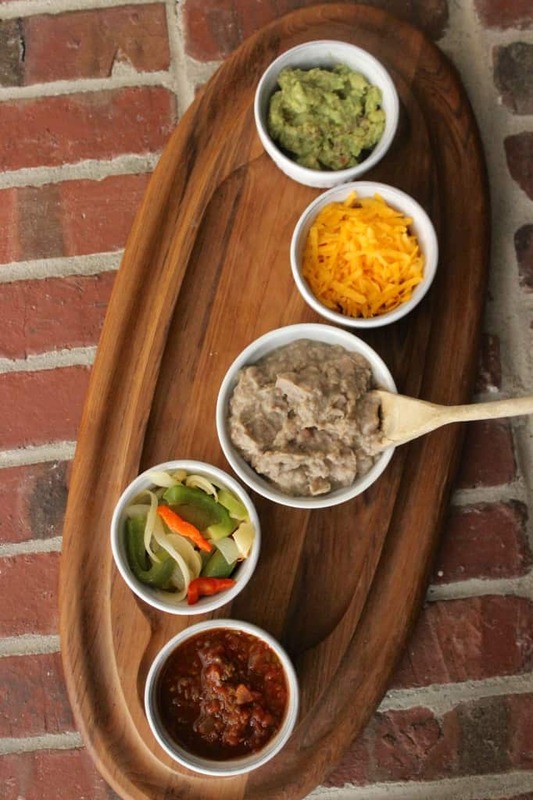 Make a “deconstructed” taco or fajita plate! Fill your plate up with all of the normal fillings and toppings while skipping the outer shell or tortilla. 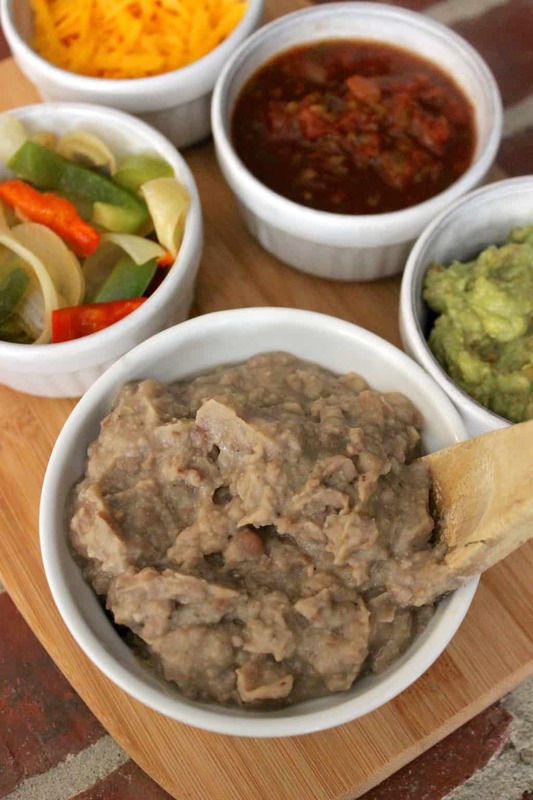 Go heavy on the fresh & sautéed veggies, lean protein, salsa and refried beans. Go light on the cheese, sour cream, rice, and tortillas. Use lettuce leaves to make Mexican lettuce wraps! Question for you: What’s your favorite Mexican dish? I love enchiladas verdes and quesadillas. And of course, I love my homemade burritos! They’re the best thing ever at school in the midst of lots of eating out and storebought frozen meals. I also love making a huge Mexican salad with spicy grilled fajita chicken, refried beans, corn, tomatoes, cucumber, red onion, and guacamole. YUM! Working Out When You’re Sick: Yes or No? This is awesome! I will have to try it. I also love recreating Mexican food as it is so tasty but I usually walk out of restaurants gripping my stomach. I agree 100%! I went out for Mexican food with friends last night and it was a fun night, but I didn’t feel so great after. It was just really heavy food! What?! 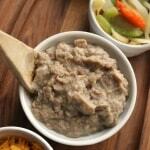 You can make homemade refried beans?! I definitely have to try that. My favorite Mexican dish is tacos, and I know that’s sort of a basic Mexican food, but seriously…tacos are amazing. I love putting cheese, guac, fresh salsa, and lettuce on top. YUM!!! What a fun idea! Everything looks so fresh and pretty! I love how fresh Mexican restaurants are! …and how simple the ingredients can be! 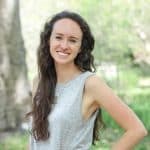 That’s amazing that you made bread in your dorm room!! You’re so domestic 😉 And you’ll have to let me know if you try the recipe! 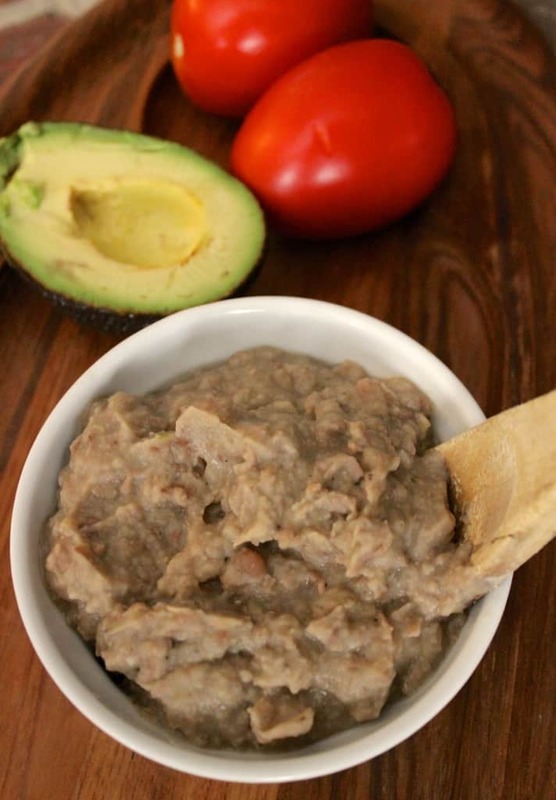 I honestly had no idea that refried beans were so easy! I LOVE getting them when I go out to get Mexican food, but sadly, I don’t really cook that genre of food much at my house because it’s always intimidated me. Not sure why haha! Anywhoooo, I love that these basically do all the soaking/cooking by themselves! Woooo! Love this recipe! And great tips on keeping your Mexican food on the lighter side. I love Mexican food but sometimes I feel like it’s so hard to keep it on the healthy end. Yum, I was actually planning to look up how to cook beans! I’m glad I didn’t have to really search for a recipe and found yours instead, haha. My favorite Mexican food would probably have to be quesadillas. There’s a Mexican place on my campus that makes good ones; plus, they’re fun to make on my own as well.